The Commission on Higher Education (CHED) was established on May 18, 1994 based on the Higher Education Act of 1994 or Republic Act No. 7722. It was sponsored by then Sen. Francisco Tatad. The mandate of CHED covers post-secondary public and private educational institutions and includes all degree granting programs. 14. Perform such other functions as may be necessary for its effective operations and for the continued enhancement, growth and development of higher education. Having such a mandate and power over the educational system of the country, CHED is one of the troika of the Philippine Educational System. The other two are the DepEd and the TESDA. CHED as mentioned has the power over policy and programs with regards to higher education and Higher Educational Institutions or HEIs. Thus, not only is CHED have power over the educational system but also in the economy of the country wherein the professionals are one of the key resources. The CHED Chairman is appointed by the President and the CHED is under the administrative control of the Office of the President. The CHED Chairman has a term of 4 years and and if reappointed has a fixed term of another 4 years. The current CHED Chairman is Patricia Licuanan who was appointed in 2010 and reappointed in 2014. Her term expires on the year 2018. The pronouncement of President-Elect Rodrigo Duterte that Lyceum of the Philippines Professor Jose David Lapuz has muddled up the functions of CHED since LIcuanan has a fixed term of serving until 2018. Now presidential Legal Counsel Salvador Panelo has demurred the announcement of Lapuz taking over Licuanan’s position at the CHED. Also, Executive Assistant Christopher Go said in a statement that Licuanan will retain her post since it is a fixed term. Licuanan stated that “Everything is unpredictable at the moment but I do have a term until 2018”. This notwithstanding reactions from netizens and former students of Lapuz questioning his qualifications in heading the CHED. Lapuz was a former political science professor of President-Elect Duterte in the 1960s at the Lyceum of the Philippines. This comes at a time when a new schoolyear is about to commence and that CHED is a vital government arm in the country’s economic system. 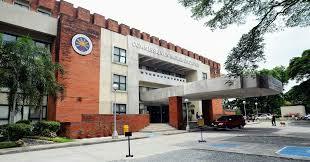 Aside from Licuanan, CHED has also Undersecretaries and Assistant Secretaries that are presidential appointees.